Prime Minister Narendra Modi has made a master move in deciding to undertake an official visit to Mongolia next week. Mongolia has never been on the radar screens of any Indian Prime Minister from Jawahar Lal Nehru onwards. But Modi will change this forever when on 17 May he spends one night in Ulan Bator, the Mongolian capital which Mongolians spell as Ulaanbaatar. 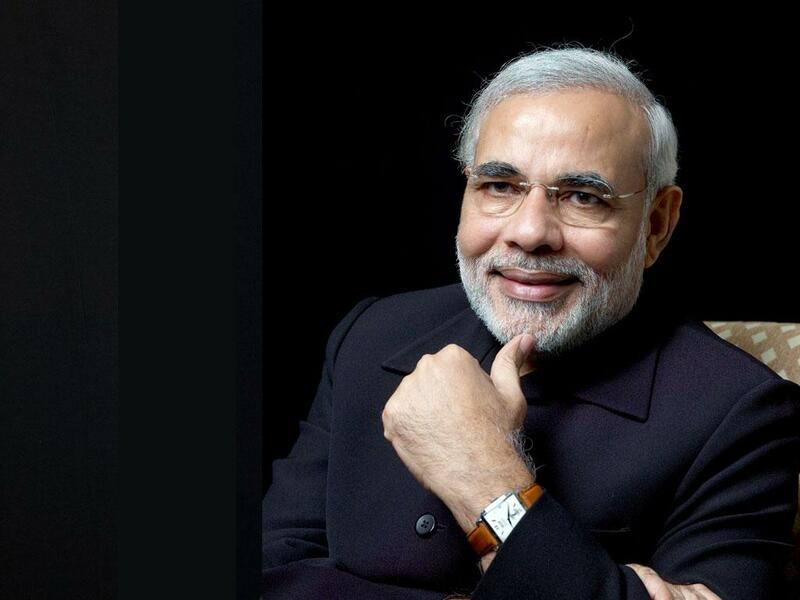 Modi will be the first Indian prime minister ever to visit Mongolia. He will be visiting Mongolia after completing the first leg of his three-nation tour (China, 14-16 May) and from there would head to South Korea for his third and final leg of the tour (18-19 May). Then prime minister Manmohan Singh wanted to visit Mongolia in 2006-07 but somehow the visit could never materialise. However, then president Pratibha Patil paid an official visit to Mongolia in 2011. Uranium is definitely a big-ticket agenda for Modi’s official talks with his Mongolian interlocutors. Mongolia was among the first few countries to sign a uranium deal with India. France was the first country to sign the civil nuclear deal with India on 30 September, 2008 after the complete waiver provided by the Nuclear Suppliers Group (NSG). This was followed by nine other countries: Russia, Mongolia, Namibia, Argentina, UK, Canada, Kazakhstan and South Korea, apart from the biggest daddy the United States. Though India and Mongolia signed a civilian nuclear deal for uranium supplies way back on 14 September 2009, unfortunately India is still awaiting its first uranium supply from Mongolia. Moreover, Mongolian uranium supply won’t materialise during PM Modi’s visit to that country. That’s because the Mongolian internal processes are still to be completed and uranium supplies are bogged down. PM Modi’s Mongolia visit should at best expedite this process but India would still have to wait for its first uranium supply from Mongolia. Why then has the Prime Minister decided to visit Mongolia, a large country with an area of over 1.5 million square kilometers but a population of only three million, roughly a quarter of Delhi’s population? Forget uranium folks! India has enough foreign resources now to get this precious metal. The real reason behind PM Modi’s Mongolia visit is China. Modi’s trip to Mongolia is a win-win situation for the two Asian parliamentary democracies to take their bilateral relationship to the next level for mutual benefit. Mongolia may be a giant sized country but it is dwarfed by two much bigger giants between which it is sandwiched: China and Russia. Mongolia is keen to open up to the world in a big way and is ill at ease with Chinese influence, economically and politically, though it is largely due to its geographical proximity to China with which it shares borders. For this reason, Mongolia wants to put in place its “third neighbor” policy aimed at invigorating ties with India and expanding its foreign policy and business outreach to India and look beyond China and Russia. Strategically and diplomatically speaking, India and Mongolia bring much to the table for each other. Mongolia is the world’s second largest land-locked country — after Kazakhstan. It is rich in mineral resources like copper, iron, coal and uranium. For these reasons, China has traditionally eyed the Mongolian markets. But the style of functioning of Chinese companies has triggered concern among the people and the political elite alike in Mongolia. So much so that increasing number of Mongolian politicians and political parties are getting visibly affected by Sinophobia. They believe that an unduly high dependence on China for trade and commerce is not good for Mongolia. China has been Mongolia’s largest trading partner since 1999 and accounted for over 70 percent of Mongolian exports. Moreover, over 60 percent of Mongolia’s foreign investment comes from China alone. Mongolia gained independence from China in 1921 and many in China still refer to Mongolia as ‘Outer Mongolia’. Taiwan still officially claims Mongolia as part of its official territory. Against this backdrop, it is understandable that “anti-China-ism” is gaining traction among increasing number of Mongolian politicians and the Mongolian media often runs highly critical news stories about China. Defence and security are increasingly becoming a new focus in India-Mongolia bilateral engagement. This process is going to be intensified with Modi’s Mongolia visit. In many ways, Mongolia offers a newer opportunity and strategic leverage for India in dealing with China – Vietnam, Philippines and Myanmar being the old ones. We are living in the times when China is ubiquitous and the elephant in the room whenever two other nations engage with each other. On 17 May when PM Modi will be holding official talks with his Mongolian interlocutors in Ulan Bator, the dynamics will be a bit different for a change. This time China will be keeping its fingers crossed when Modi lands in Mongolia. *The writer is Firstpost Consulting Editor and a strategic analyst who tweets @Kishkindha.